For an overview of the topic, click on "VD Themes" for an introductory essay. From there you can view different curated exhibits organized by theme and iconography by selecting the topics highlighted in grey. You can also skip to these sections by clicking on the topics listed under the "VD Themes" heading. Clicking on an image on these exhibit pages will take you to that item page in the archive. When looking at the entry for an individual item, you can click on any hyperlinked listing under subject, date, creator, tags, etc and it will take you to other items catalogued with the same listing. When relevant, I have also provided links to the original sources for items. Under "Browse Collections" you'll find images organized by time period or project. 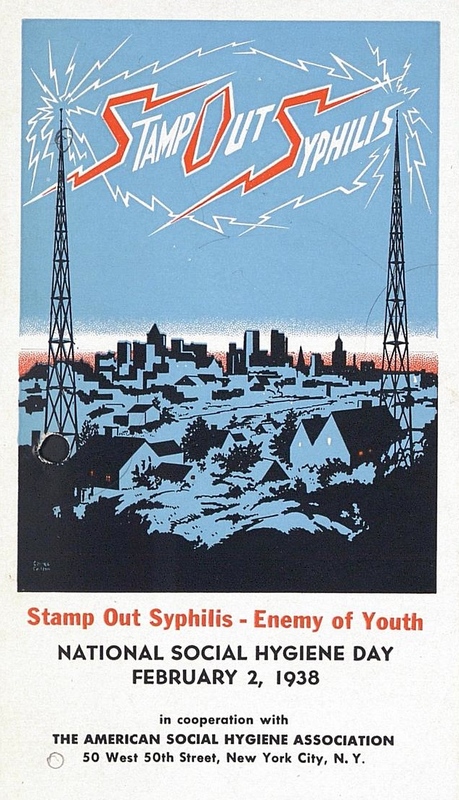 For example, World War I posters or exhibits from the 1939-40 New York World's Fair. To search for particular iconography or keywords, click on "Browse Items" and then "Browse by Tag." You can also use the search box. Clicking "Browse Images" will allow you to look through all of the materials in the archive. They appear with the most recently uploaded at the top.